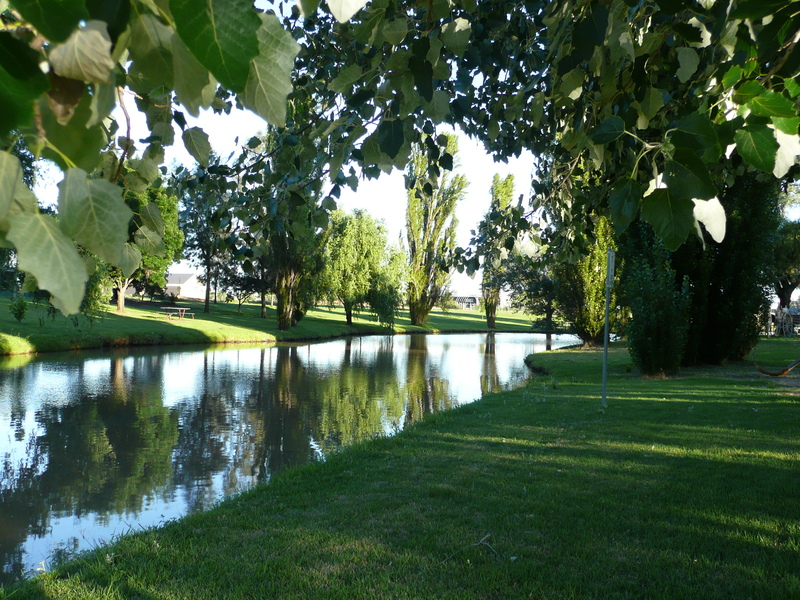 If you are looking for just the right place to set up camp with your tent or caravan, or looking to hire a cabin for the weekend of the Festival, then come and relax at Lockhart’s beautiful and pet-friendly Caravan Park. Situated in Green Street, our caravan park with its fantastic facilities is within easy walking distance to the sculptural displays, high quality market stalls, fantastic shops and the activities organised for the weekend. There are 21 sites, 18 which are powered and 3 unpowered. Also available for booking are 3 on-site, fully equipped cabins including linen and extensive facilities, each which can accommodate up to eight people. The site and cabin fees are very reasonable: site and cabin fees. 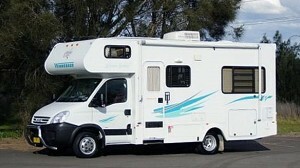 Lockhart Caravan Park is an RV Park with Dump Point. 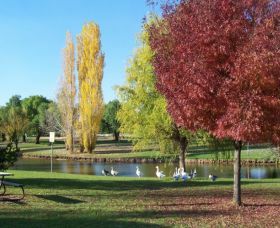 The Park Manager can be contacted on 0458 205 303 or by email: caravanpark@lockhart.nsw.gov.au. Camping facilities have been made available for all CMCA members. For more information or bookings contact Jean Gooden on 02 6920 5180. Camping is also permitted in The Rock, Yerong Creek, Pleasant Hills, Osborne and Collingullie. Free caravan and RV overflow parking for the Spirit of the Land Festival will be available at Clem Gooden Oval, so spread the word! The outdoor toilet facilities at the adjoining golf club will be made available, as will the toilet and shower facilities at the Lockhart Ex-Servicemen’s Club. It would be appreciated if anyone intending to park here contact the Caravan Park Manager, on 0458 205 303 or email caravanpark@lockhart.nsw.gov.au so we have an idea of numbers. See you there! Offering quality and comfort at very reasonable rates, the Lockhart Motel offers a high standard of country hospitality. Situated opposite the Pastoral Shadows Walking Track, the air-conditioned rooms ensure a restful stay. Evening meals are available at the Motel, and the friendly, helpful service will ensure an enjoyable stay. The Lockhart Motel is within easy walking distance of the shopping centre, Bowling Club and Ex-Servicemen’s Clubs where visitors are welcome. Telephone 02 6920 5357. The Commercial Hotel offers accommodation and refreshments in the main street of Lockhart. Situated in the very heart of our pretty town, the Hotel is within walking distance of all facilities in Lockhart. For more information or bookings, please contact 02 6920 5109. 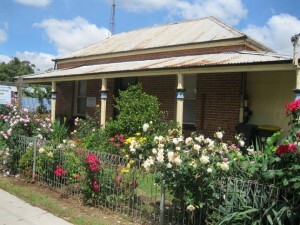 The Railway Hotel is a quiet little hotel that offers accommodation, refreshments and local hospitality. For more information or bookings, please contact 02 6920 5513. The King’s Own Hotel/Motel is situated in the nearby town of The Rock, on the Olympic Highway. Under new ownership, this popular hotel offers accommodation and meals. For more information or books, please contact 02 6920 2011. Pleasant Hills Community Hotel boast welcoming accommodation, fine food and a great atmosphere. Run by the local community, this Hotel is a unique attraction in its own right. For more information or bookings, please contact 02 6929 6429. Come and stay on a real working farm over 6000 acres. Hanericka offers a great opportunity for you to have the complete farm and country experience without sacrificing any of the comforts of home. Modern, fresh rooms with ensuites, electric blankets and air-conditioning. Participate and help with the many varied daily farm activities including horse riding, feeding the chooks, ducks, pigs, lambs, geese, alpacas and milking goats. Jump on the back of the tractor for a hayride around the farm to check the mobs of sheep and cattle. Telephone 02 6920 3709 or visit www.hanericka.com.au. The boutique Church Retreat is housed in a former Lutheran Church and has been converted into holiday accommodation with a modern, relaxed atmosphere with everything you need for a fun, laid back weekend away. Fully equipped for a fabulous holiday, the Church Retreat includes a fully equipped kitchen with dishwasher, reverse cycle air-conditioners, luxury bathroom with large bath, separate bedroom with double bed, open plan Queen bedroom, daybed converts to 2 singles/double bed and games room with pool table, darts and many more games. Telephone: 0417 239 843 or visit www.thechurchretreat.com.au.